As said earlier, I will be posting some puzzles even during other days as and when possible apart from regular posting on Friday. It is also somewhat fixed on every alternate Wednesday as contributing to Daily League. 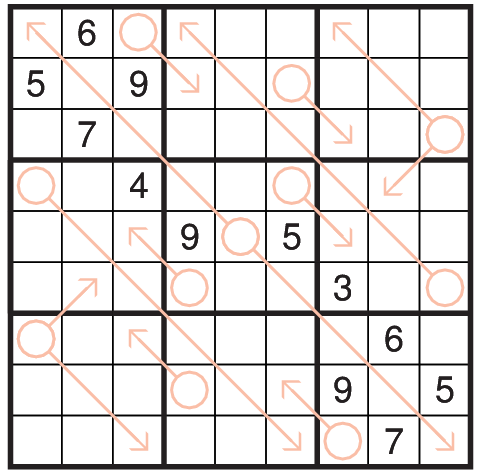 Now there is something about the name i mentioned (Double Special), yes there are two arrow Sudoku today. 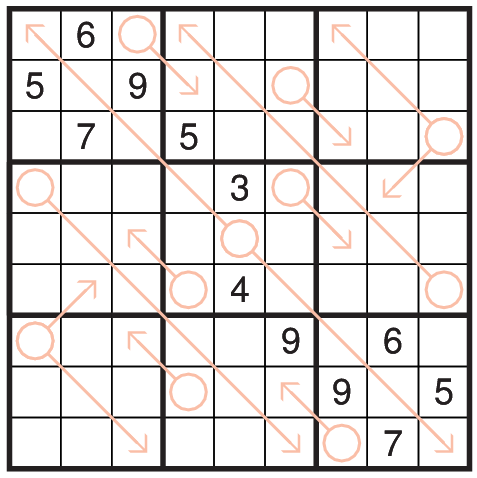 The 1st one is officially for Daily League and remember that you can solve this puzzle from the League online on the Sudokucup Guest League page with a 24 hr delay. Place numbers in the grid such that each row,column and 3*3 box contain the numbers 1-9. Additionally, digit in the circle is sum of the digits along it's arrow. If there are multiple arrows, each one sums up to the circled digit. Digits can repeat along arrows.